Advance Tickets are on sale now at oshows.com . Debut EP “The Voice” is # 2 on Billboard Top Jazz Album Chart. 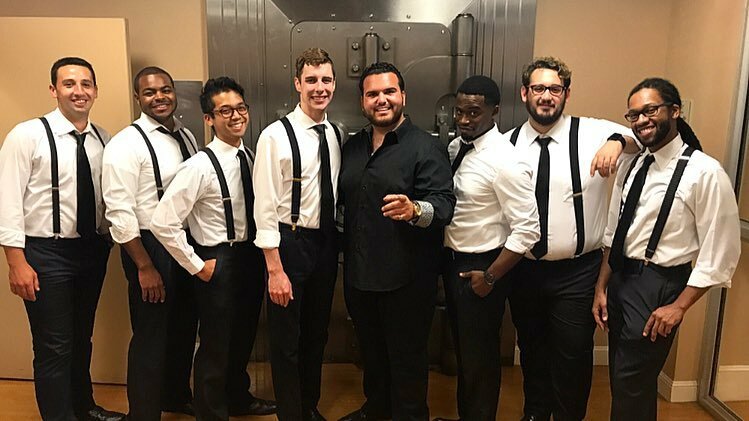 Sal first learned the American standards at his grandmother’s knee and his passion grew further when he discovered his hidden vocal talent in his teenage years. “Sal the Voice,” as he is known by everyone form Brooklyn to Bayshore, can be found on most Sundays sipping cappuccino at the cafe, telling stories, making jokes and planning his next move— to bring back to American pop culture the consummate, classy, old-school entertainer with a heart of gold. When his grandmother passed away, her music was all Sal had to remember her by. He had previously tried out for season 14 of American Idol, where he successfully made it past the auditions but did not proceed to the live shows. On season 11 of America’s Got Talent Sal wowed the judges and won Heidi Klum’s golden buzzer. He then made it past the Semi-Finals and competed in the Final Show. Sal breathes fresh air into the classics; “The Way You Look Tonight”, “My Way”, “Summer Wind”, “The Girl From Impana”, “Mack The Knife”, “That’s Life”, “Love Is A Many Splendored Thing”. Check out Sal’s hot debut CD and his soon to be released classic Christmas CD. Sal will entertain you like you have never been entertained before. This entry was posted in 2000s, 60s, 60s rock n roll concert, 70s, advance tickets, All Ages concert, Bar, Chicago, Classic Hits, Concert, Date Night, Dinner, Family event, Historic landmark, IL, Illinois, In Concert, Jazz, love songs, Million Sellers, Oldies, Pop, Special Event, standards, Top 10 hits and tagged advance tickets, Ballads, bar concert food, Chicago, Italian, Jazz Pop Concert, love songs, saint charles il, Sal "The Voice", sinatra, standards, swing. Bookmark the permalink.